Pigeons transmit diseases, they roost on buildings and under bridges, they foul from ledges and other nesting or roosting areas. Their droppings cause an unsightly mess and may provide a food source for a range of fly species. They can also cause a lot of noise to people living and working in the area. Pigeons prefer to eat grain and seeds but have adapted to become scavengers on rubbish on the streets and at railway stations. 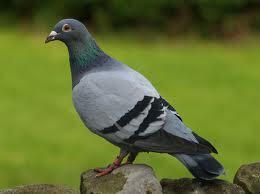 If you have any problems with pigeons then call Duncan Ross Pest Control.